Earn your club rep and don't be caught wearing any dress shirts but slim fit dress shirts. Slim fit dress shirts are the only style that will get you in the club on Club night. 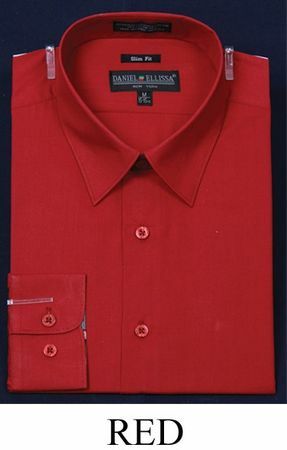 This all red slim fit dress shirt is ready for that black or gray suit that you have been waiting to wear to the club. Made of cotton/poly.